An exhibition of renewable energy technologies and equipment will be organized within the framework of the ARWE 2019 International Renewable Energy Forum. 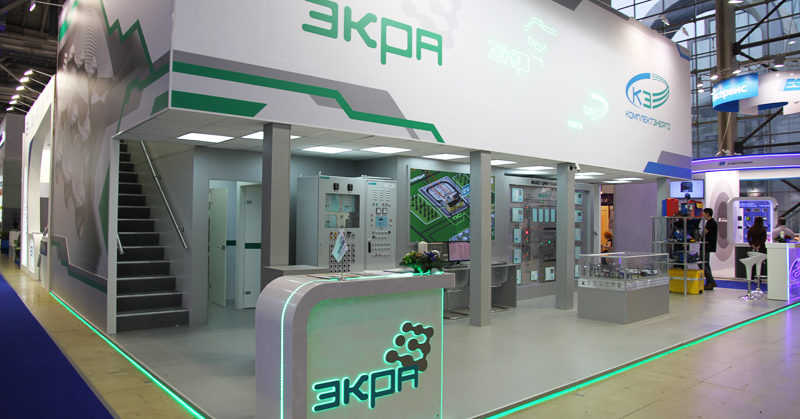 R&D EKRA, LLC, a Russian enterprise specializing in the development and production of power-system protection, the leader in its segment, will present its products. At the company’s booth, participants and guests of the event will be able to familiarize themselves with the EKRA 217 and EKRA 050 microprocessor protection terminals. A characteristic feature of the equipment is an additional USB input for connecting external media, which allows parameterizing and receiving information without a PC, as well as a dual Ethernet port. In addition, the terminals of augmented reality will be presented at the stand of R&D EKRA. EKRA Group offers a full range of software and hardware – for automation and protection of power plants with a renewable source of electricity (SPPs, WPPs) – which is based on their own solutions. Technical automation systems have proven their effectiveness at the commissioned SPPs. The Group also provides services for the implementation of automation systems for power plants with renewable energy sources: from research and development, engineering to commissioning (adjustment) and warranty maintenance and aftersales service. Thus, in 2014, EKRA, ERC (engineering research center) developed a project for the construction of the first solar photovoltaic power station (SPVPS) in the European part of Russia with an installed capacity of 25 MW and with the prospect of increasing the capacity to 40 MW, the Sakmara SPVPS named after A.Vlaznev. The SPVPS construction project was characterized by a number of features, among which is the use of ‘troubled’ soils, since the object is located on the territory of the former ash-disposal are of the CHP plant.